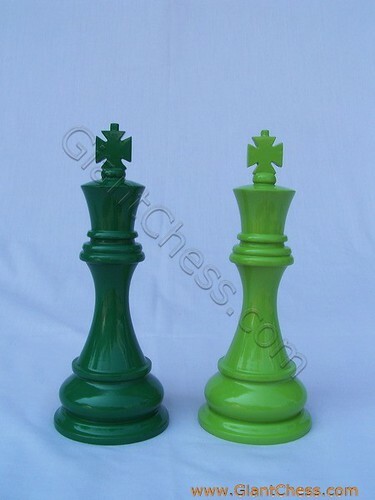 Those King chess pieces are kind of our chess color collection. Polished in calm and fresh color. We called those are the forest green and the tropic green. They describe about green environment arround to get the nature nuance. Perfect for house decoration. You may put it in your living room, children room, library, office, and another room.You can also use it as a gift for your children, family or friends.